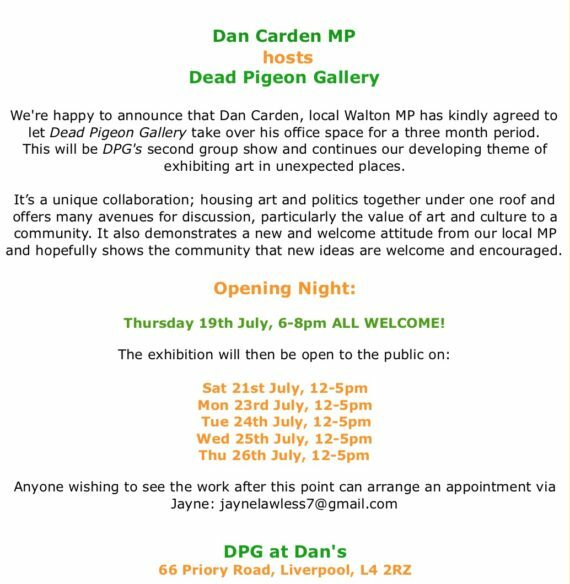 Dan Carden, local Walton MP has kindly agreed to let Dead Pigeon Gallery take over his office space for a three month period. This will be DPG's second group show and continues our developing theme of exhibiting art in unexpected places. Anyone wishing to see the work after this point can arrange an appointment via Jayne: [email protected] and will be included in Independent Biennial 2018 listings. 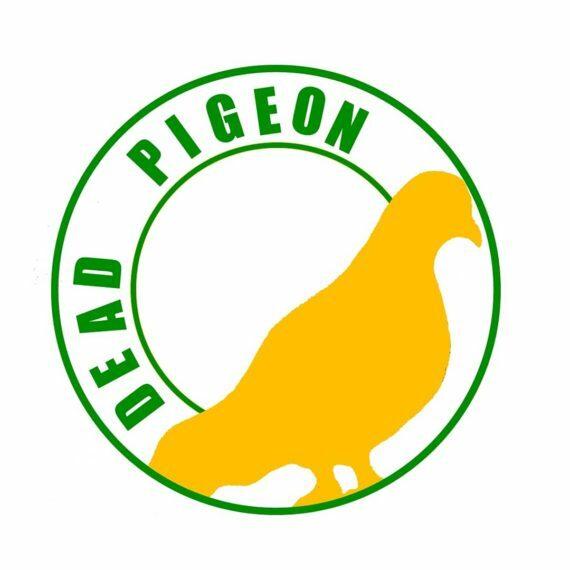 We’re happy to announce that Dan Carden, local Walton MP has kindly agreed to let Dead Pigeon Gallery take over his office space for a three month period. This will be DPG’s second group show and continues our developing theme of exhibiting art in unexpected places. It’s a unique collaboration; housing art and politics together under one roof and offers many avenues for discussion, particularly the value of art and culture to a community. It also demonstrates a new and welcome attitude from our local MP and shows the community that new ideas are welcome and encouraged. Andrea Ku is a Landscape Architect with a focus on urban biodiversity. She not only designs spaces but works with individuals to build them and teach the use of the landscape in relation to surveys, habitats, conservation and food growing. Catherine’s work centres around textile design, hand printing and stitch. This current body of work incorporates all three and is inspired by industry and wind turbines, focusing on movement and power. MacNeil is a commercial and editorial photographer based in Liverpool, England. She makes the unseen seen by taking photographs in a reportage, observational, street photography style. Clients include Le Monde, University of Liverpool, Aintree University Hospital, British Gas, Homebaked, Bitten Magazine and Binary Festival. Jayne’s practice continues to highlight the diversity of her work. Heavily influenced by time spent with community based project Homebaked and watching her home and community in Everton bulldozed due a government regeneration scheme. Travels to Mexico, Cyprus, Poland, Slovakia and Hungary interweave and influence thinking around positive action using art as the vehicle for change. Josie Jenkins is an award winning artist based in Liverpool, UK. She studied for her BA Hons in Fine Art (Painting) at Norwich School of Art and Design, UK, graduating in 2002 and has since exhibited in the UK and internationally. Louis Jeck-Prestidge makes sculpture using discarded materials. These objects often reference the home and are inscribed with psychological and emotional experiences. Abject, quirky and very human, these inanimate objects engage the viewer in a very direct confrontation with the materials and systems that govern our daily rituals and surroundings. Photographer based in Liverpool. As well as commissioned work for a wide variety of clients, Mark’s personal work includes urban landscapes which in this work, he’s deconstructed to explore ideas about the changing architecture of Liverpool. Josie Jenkins is an award winning artist based in Liverpool, UK. She studied for her BA Hons in Fine Art (Painting) at Norwich School of Art and Design, UK, graduating in 2002 and has since exhibited in the UK and internationally. Josie was born in The East Riding of Yorkshire, UK and worked as an artist in Hull and Nottinghamshire, before settling in Liverpool.